Bet you've never seen Cactus Dryer Balls - Dryer Softeners before! Not only is the dorm laundry essential unique and absolutely adorable, they're actually effective! Throw the cute little cacti in the dryer with your clean clothes and see them work their magic. 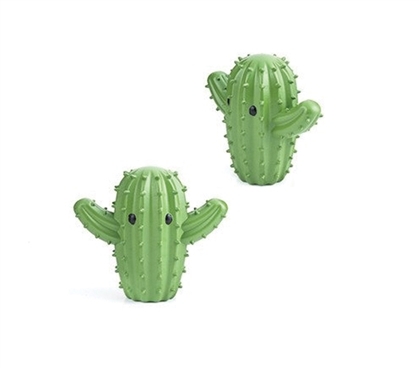 The Cactus Dryer Balls - Dryer Softeners are reusable and can take the place of a fabric softener which will definitely save you money, which makes them an ideal add-on dorm product ideal for any college student. This dorm essential also cuts down drying time, so doing your laundry in the dorms will be less time-consuming and eco-friendly as well. 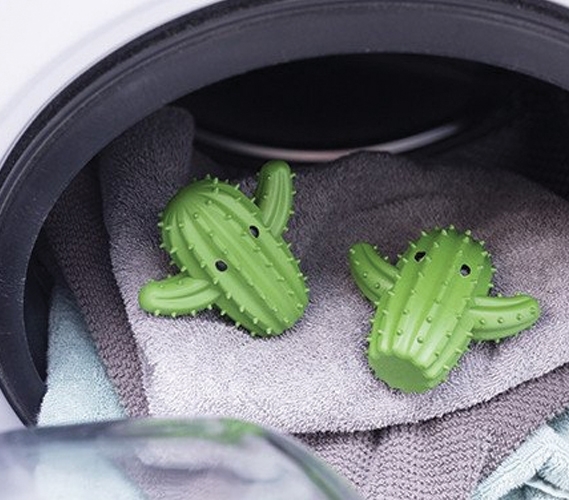 In addition, the Cactus Dryer Balls - Dryer Softeners help reduce lint in the drying process so it will keep the dorm dryer clean as well as saving your clothes from that dreaded lint that's so difficult to remove! For such a cheap dorm item, there are a lot of cool uses for it! Be sure to make this college laundry product a priority when doing your dorm shopping, because in the end it will save you time, money, and the hassle associated with doing laundry in the dorms.